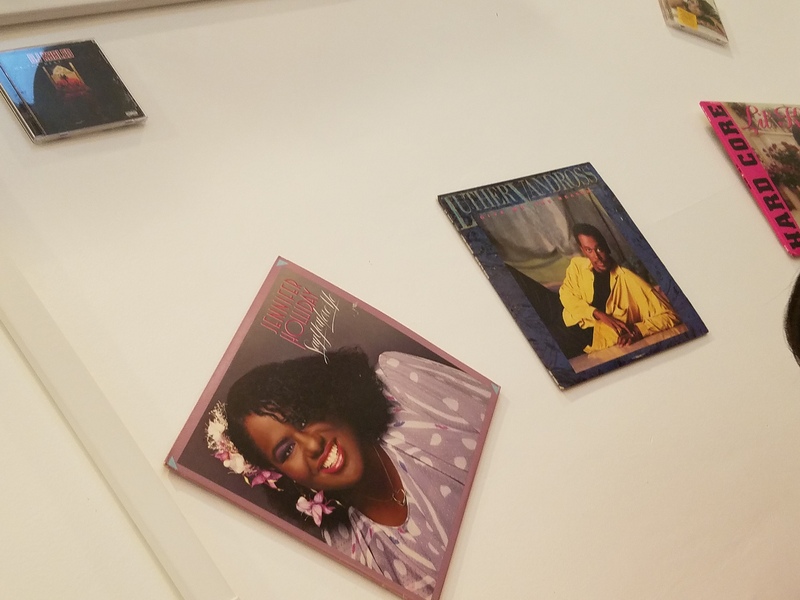 If you’re familiar with the Oprah Winfrey Network’s (OWN) TV show “Welcome to Sweetie Pie’s,” then you already know that the show is based off the popular St. Louis soul food restaurant Sweetie Pie’s. And our fellow Houston foodies probably know that Sweet Times*, part of the Sweetie Pie’s chain, made its way to H-Town in early February. It took us a few months, but 2 Girls Who Travel finally made it out one Sunday to try it. 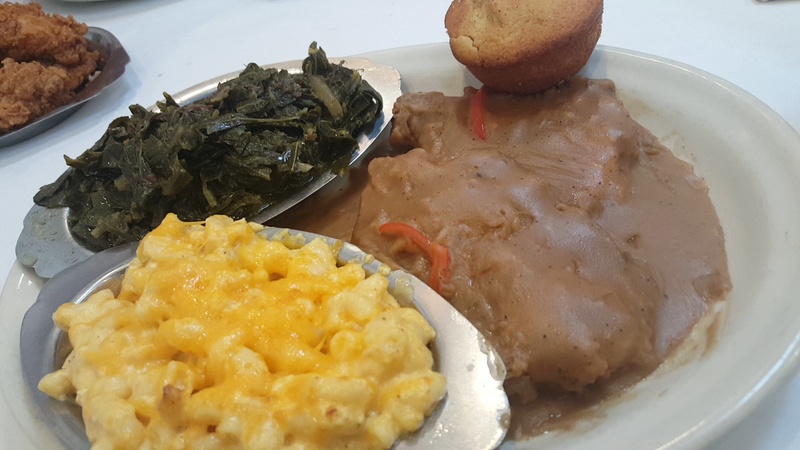 You know we love some soul food! While we waited for the food, we were serenaded by the saxophone player. Yes, there was also live music – also something we love! 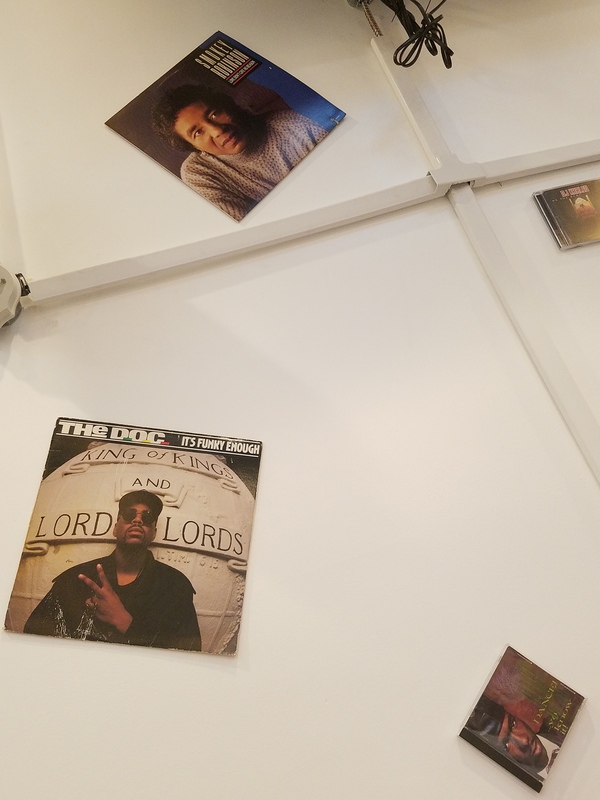 And the walls of the restaurant were adorned with album covers as well as CD covers for you millennials who know nothing about a record player (ask your parents). We got a pic with our awesome waiter Vicente, tho! Oh, sure you want to know about the food. Here ya go! We started with an appetizer of fried wings. 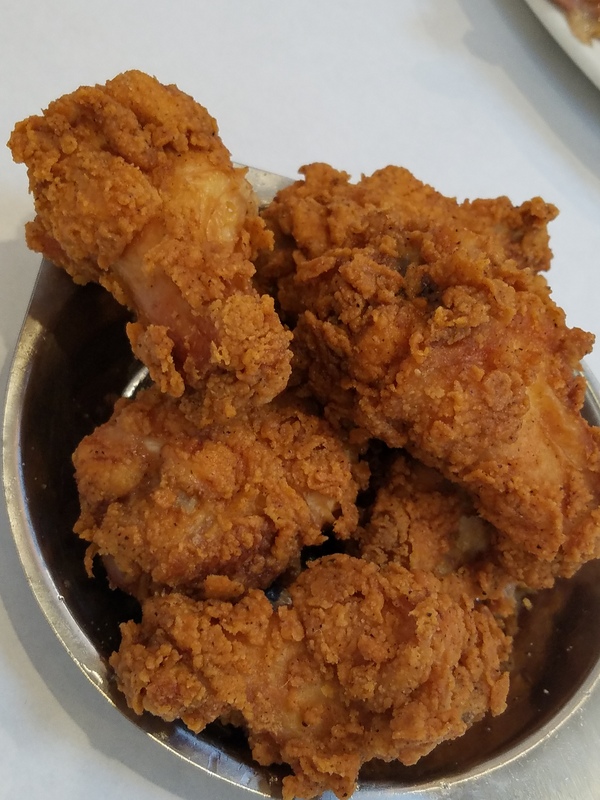 They were good – about 6 wing pieces came with the order and they were seasoned well and fried crispy, golden brown. Now we all know I tend to order my staple at every soul food restaurant so I grade smothered pork chops harshly. And these were very good. Not as tender as others I’ve had, but I got two nice sized chops, very flavorful and lots of brown gravy. The greens were sweet (as I was told they would be), but I decided I like my greens more salty than sweet. So I could take them or leave them. The mac and cheese made up for it. It was heavy (I hate runny or liquid cheese sauce) and it didn’t have those unnecessary bread crumbs on top. Great flavor and a nice portion. Oddly enough I was expecting the cornbread to be sweeter, but it was a good balance to the sweet greens. 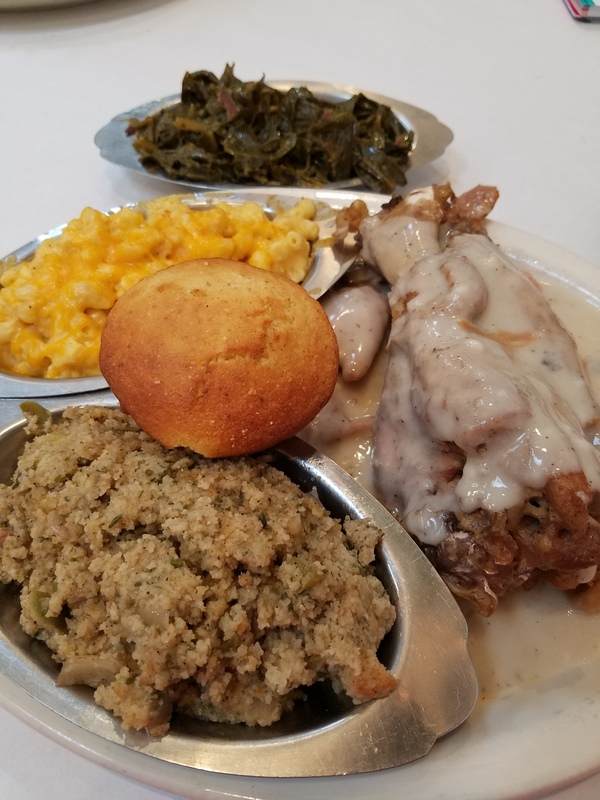 The turkey wing was massive and covered with gravy – the lighter colored – and was very tasty. I highly suggest getting them with your Sunday brunch as they are only served on Sunday. Save your other entrees for other days of the week. I didn’t know what to expect with the dressing, but was very pleased with the flavor. It was light and moist. I don’t like dry dressing. Now all I needed was some cranberry sauce and I would be set! The mac and cheese was excellent and the greens were too sweet for my liking. 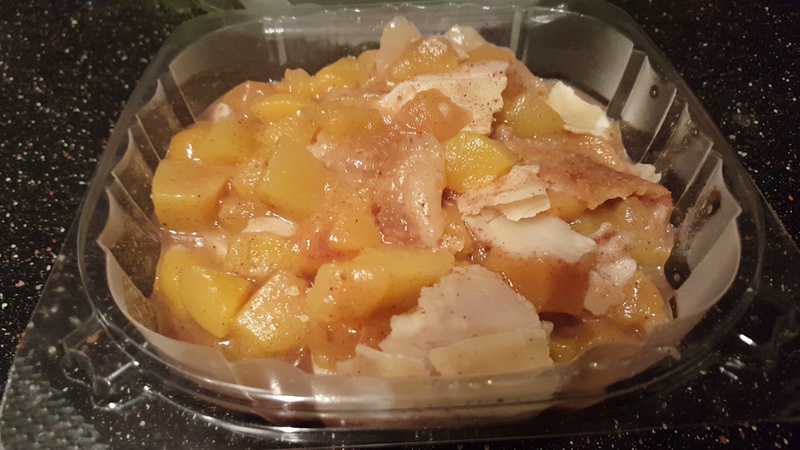 The verdict on the peach cobbler was mixed: Kim liked and Val didn’t really care for it. Definitely try for yourself! One thing to note: Sweet Times is good at anticipating your needs. Every condiment you might ask for is already on the table when you sit down: ketchup, hot sauce, pepper sauce and salt and pepper. Of course we had to get some of our food to go, but we would definitely come back. There were so many other things on the menu we wanted to try – we didn’t even get to touch the seafood. 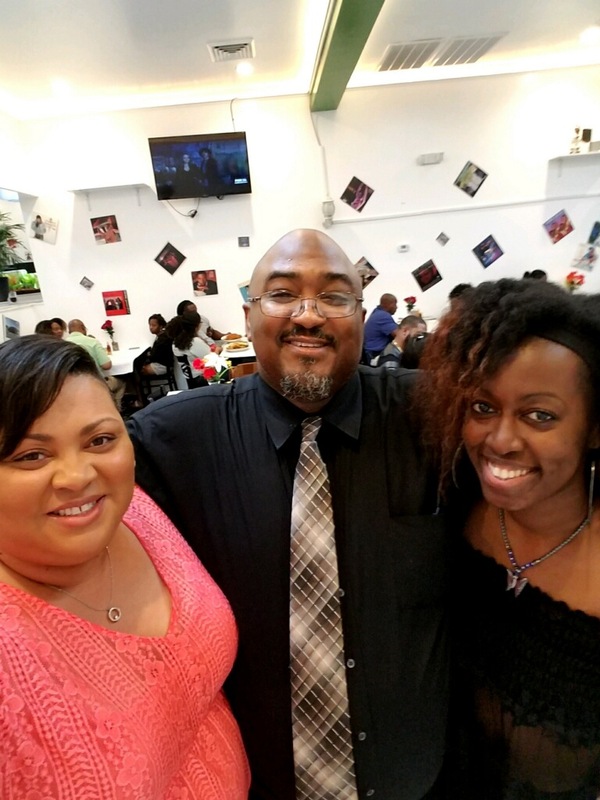 Sweet Times is located at 6356 Richmond Ave., Houston, TX 77057. Check out their website for more details. 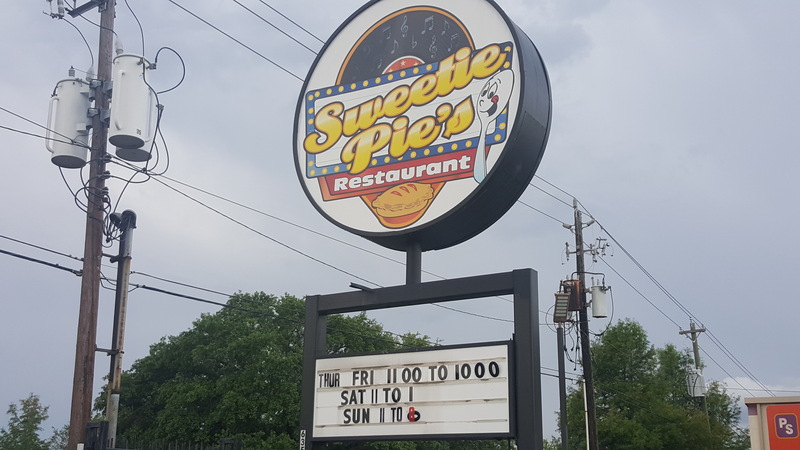 Editor’s Note: Sweet Times is now known as Sweetie Pie’s Houston and its location has moved to 2836 Fulton Street, Houston, TX 77009.